Valentine’s Day: a pain in the proverbial for the forgetful shopper and a stab in the heart for the eternally alone. While the roots of Valentine’s Day are fuzzy and lie somewhere between pagan and commercial, the impact on consumer spending is massive - with $19 billion spent on gifts in the US last year - according to The Shelf. The US National Retail Federation predicts that 54.8% of consumers will celebrate the special day aceoss America this year, spending an average of $146.84 on flowers, jewelry, sweets, apparel and more (up from $142.31 last year). As pastel coloured, heart-shaped fluff assaults the consumer from every angle: how are retailers setting themselves apart to activate shoppers this season? 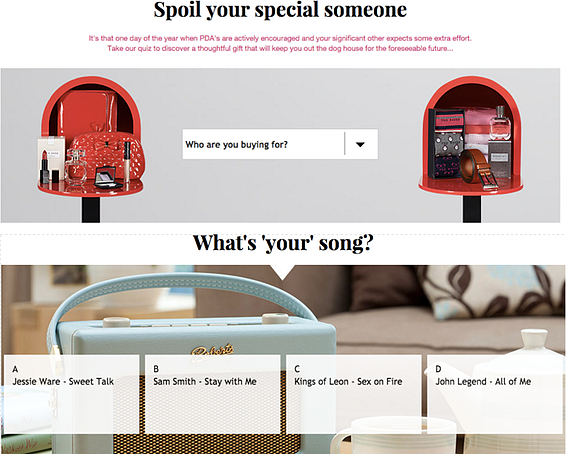 We’ve taken a look at six cool examples of retailers marketing Valentine's Day, with a twist. 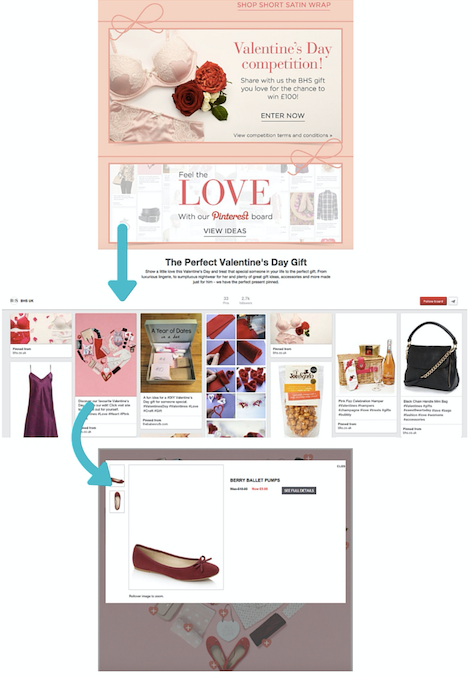 Why we love it: BHS rolled out a Valentine’s Day Pinterest board for its shoppers, with a clearly defined path to purchase, and shoppable gift inspiration boards that link directly to the featured products, voila. Pinterest is a great visual platform and is an increasingly powerful source of revenue: with an AOV higher than any other major social platform at $50. Valentine’s Day is tough for the uninspired - there’s only so far another forlorn bunch of roses from the supermarket bin can go. People are hungry for original ideas and Pinterest's online mood board-style is a breeding ground of inspiration - with 93% of its users using the tool to plan purchases. Why we love it: Competitions are a great way of encouraging engagement and can be used as a tool to generate user content, leads and laughs. 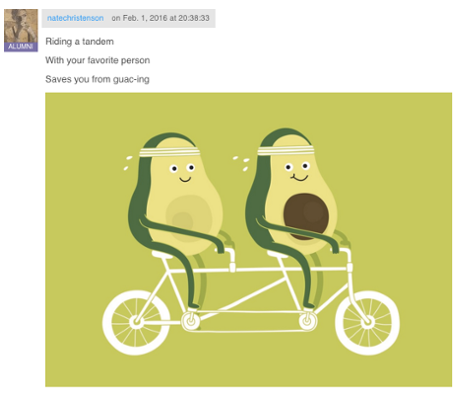 A range of brands opted for competitions this Valentine’s Day - ranging from the good to the great - we’ve singled out Threadless’ haiku challenge for standing out from the crowd. 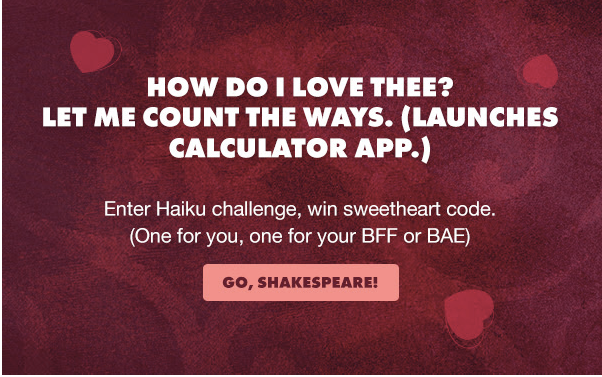 The creative campaign challenges its fans to invent the best haiku for the chance of winning a “sweetheart code” (we assume that means a discount or something). The competition introduces a list of haikus for inspiration - with each linked to a design that is also linked to a shoppable product. The competition then calls upon its loyal fans to match an existing design (from every Threadless design ever) and make a fitting haiku to share in the comments section for a chance of winning. Threadless' compeition shows how brand's can get creative and move beyond the simple realms of social hashtags, "answer A, B or C in the comment section for a chance to win" kind of content. This competition focuses on getting their customers inolved and familiar with the product range, as well as being fun, at the same time as making everything shoppable: a unique way of linking creativity to commerce. Why we love it: Topshop's video campaign (pushed through its email channel) showcases a range of products - linking them in shoppable guides - targeting its largely millennial audience via one of their strongest channels. 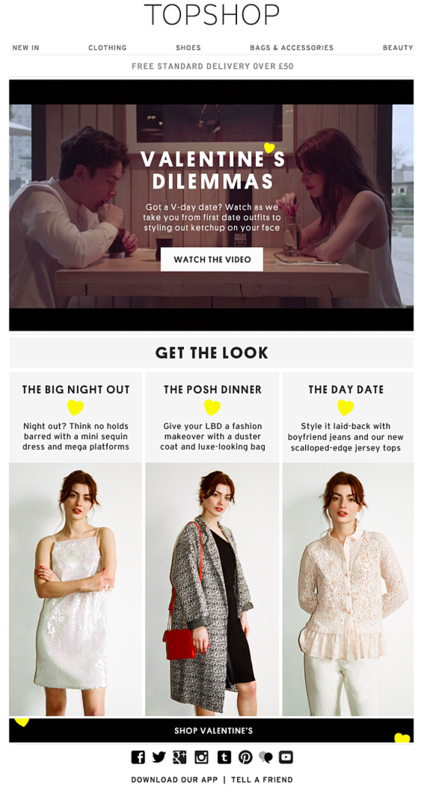 Looking back to 2015, Topshop’s shoppable ‘Valentine’s Dilemma’ - used the growing power of video in commerce as a creative tool to inspire and sell. The video tapped into the growing Tinder-trend and explored the perils of that first awkward date (where you should have swiped left). As mentioned in a previous post discussing luxury content marketing - video is an increasingly powerful content tool: 87% of fashion brands that posted video in Q4 2015 garnered transaction rates of 1.6x or higher for video than the average post in the same period (according to McKinsey’s research). Why we love it: American Apparel has done a great job at targeting the busy online (lazy?) shopper by promoting its e-gift card range made specifically for Valentine’s Day and the lucrative last-minute crowd. Why we love it: The gamification of commerce can certainly deliver results, from high impressions to a lead generation goldmine. This quiz from House of Fraser asks a series of questions about their other halves and the tool recommends the ideal Valentines Day gift - grouped into specific personality sets. Quizzes are a massive part of our media landscape today: helping to propel media giants such as BuzzFeed's into the mainstream (with five billion content views a month according to its CEO, Jonah Peretti). Quizzes are a serious customer intelligence tool, capabe of delivering high ROI - check out our recent blog post discussing the growing power of the quiz in ecommerce - for some cool ideas. 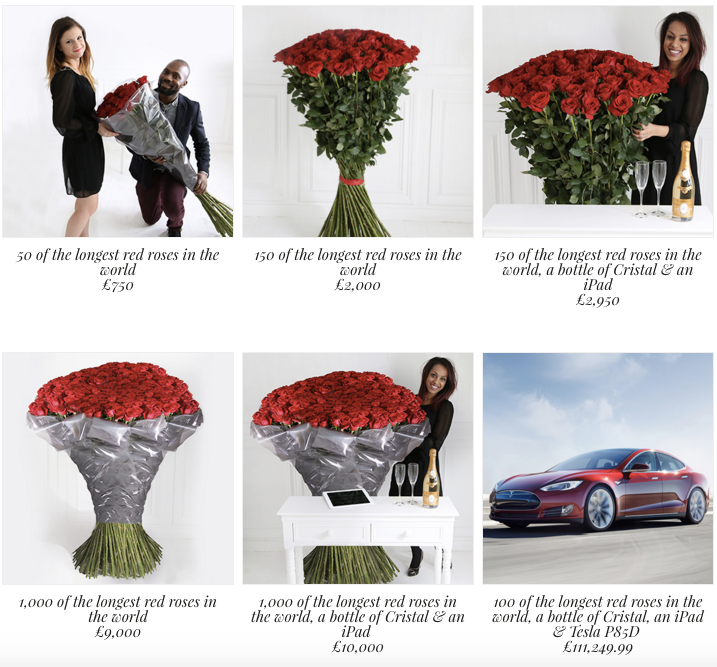 Why we love it: Valentine's Day can be so ordinary and predictable - Arena Flowers is making a splash to outshine the competition with extraordinary gifts and celebrity appeal. The flower company’s One of a Kind campaign draws on the celebrity splash of former X-Factor vocalist and reality regular, Chloe Jasmine, to parade the World's Largest Roses around busy London to spread the love and capture the hearts and minds of the British public (while boosting brand/enormous product awareness). Target customers who shopped with you during Valentine’s Day last year with product recommendations based on different categories (no one wants to receive a heart-shaped cushion two years in a row…). Create a special marketing promotion - a cool competition for example - to build a buzz around your brand and drive traffic to your website and social channels. 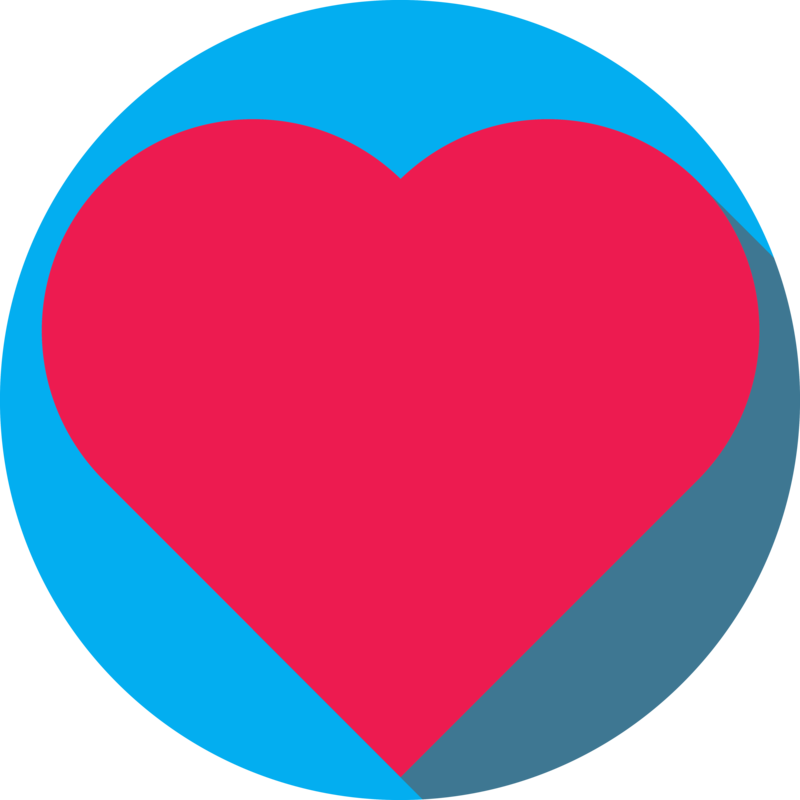 Use Valentine’s Day as an excuse to reach out to lapsed customers with a nice little discount to incentivise a sale and get them reactivated. Try tweaking your welcome series to include the special day: use the opportunity to broadcast Valentine’s promotions that your new subscribers might have missed - but remember to switch it off (lonely hearts won’t appreciate your onslaught of heart-shaped emoticons past the romantic season). The rise of ecommerce shows no signs of slowing as people become more confident with ecommerce transactions and savvy with search - which is great for us, right? However, with any success story, many flock for a piece of the pie - making it essential to differentiate from the competition. It’s no longer sufficient to declare you’re the best, because the fact is, your visitors can compare you faster than you can say Google. The good news it that technology in the multi-channel age makes it easier than ever to stand out. Employing an ounce of creativity and a shred of technical skill will attract shoppers and build your brand personality.